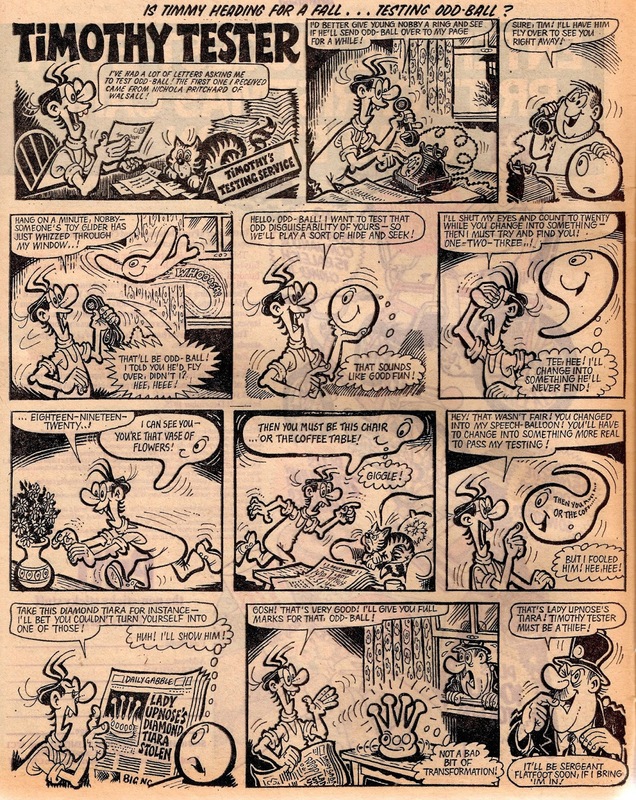 Here is the last Steadfast McStaunch strip that appeared in Whizzer and Chips, after Denis Gifford had revived him as a human for 11 episodes. 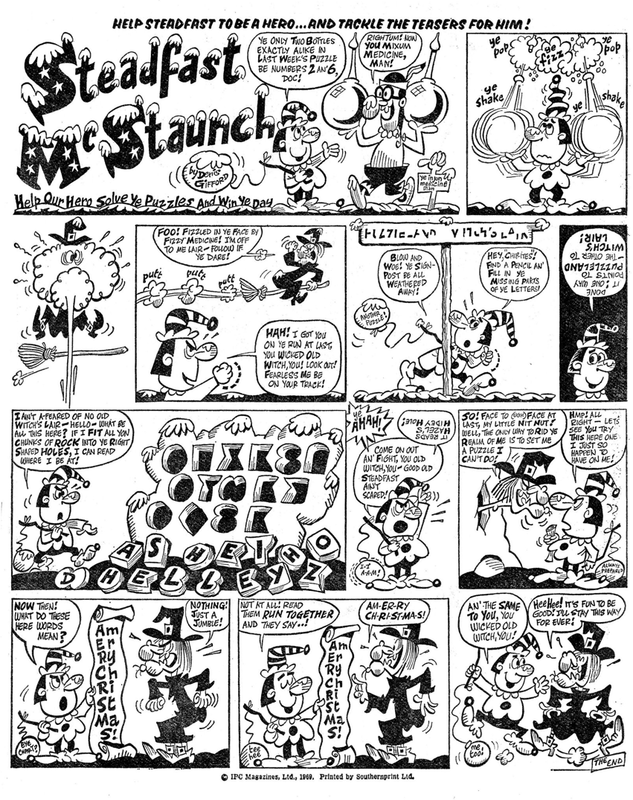 It first appeared in the first issue and this one comes from the first Christmas issue. 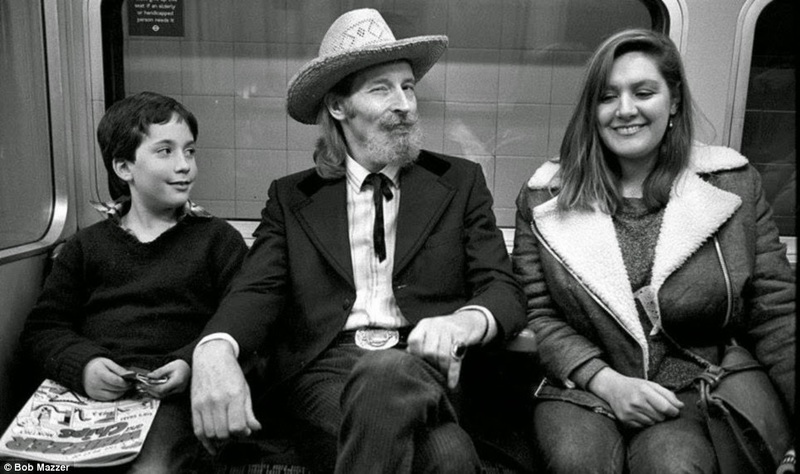 I've just come across the above photograph on the Daily Mail site, one of many taken by Bob Mazzer on the London underground in the 1970's and 1980's. The young boy on the left is seen with an issue of Whizzer and Chips on his lap, that particular issue is the very first 'Best of Monthly' issue from November 1984. 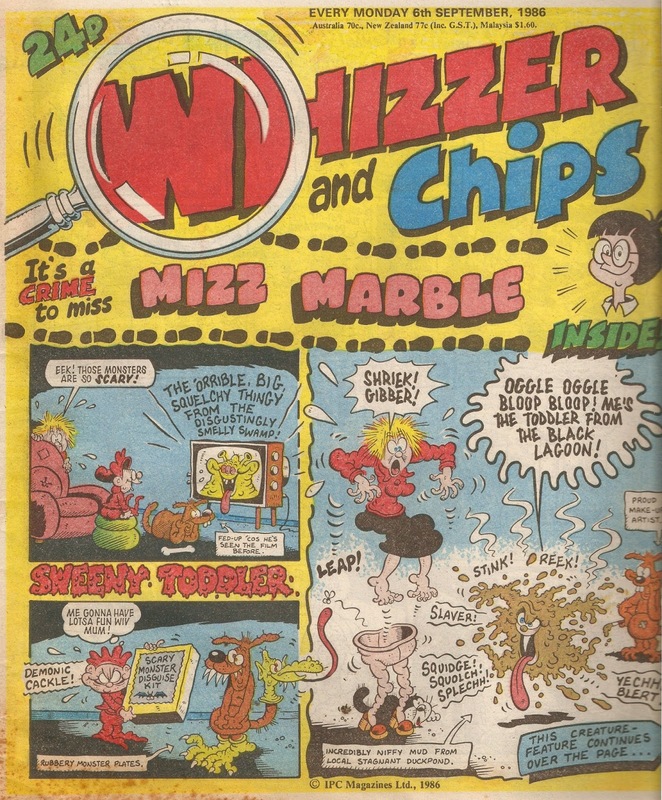 Today it's time to look at the issue of Whizzer and Chips dated 6th September 1986. The cover star is, it as had been for about a year (on and off with Sid's Snake), Sweeny Toddler, with lovely artwork by Tom Paterson. I just love the way it is Sweeny's mum who is hiding behind the armchair in the first panel, and not Sweeny. Great stuff and it is continued over the page. On the chat pages there are interesting announcements from both Sid and Shiner, both asking readers to send in any birthday wishes they wanted printing in the November issues. Readers could write in and messages would be written in the strips, on walls and fences etc. 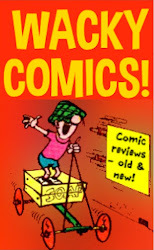 - a fantastic feature that makes Whizzer and Chips that little bit better than other comics (in my opinion, of course!). It also shows how far ahead they worked on the comics, roughly two months (I believe it was about six weeks in advance). Be sure to read the letter by Shiner's announcement as well; one reader had written in asking which characters had appeared in the very first Chips section from 1969, and Shiner lies by including himself in the list when in truth he didn't appear until issue two. Moving on, the Sweet Tooth strip had an interesting script, I can't help but feel that whoever wrote it might have been suggesting something here - after all, Sweet Tooth had been in the comic since 1972 and coming up with new ideas must be tricky! There's plenty more to show but not enough room to fit it al in, but I can't miss out this Phil Fitt strip. From a great (ahem) pun in the first panel to a guest appearance from Mike Lacey, this strip's got it all! 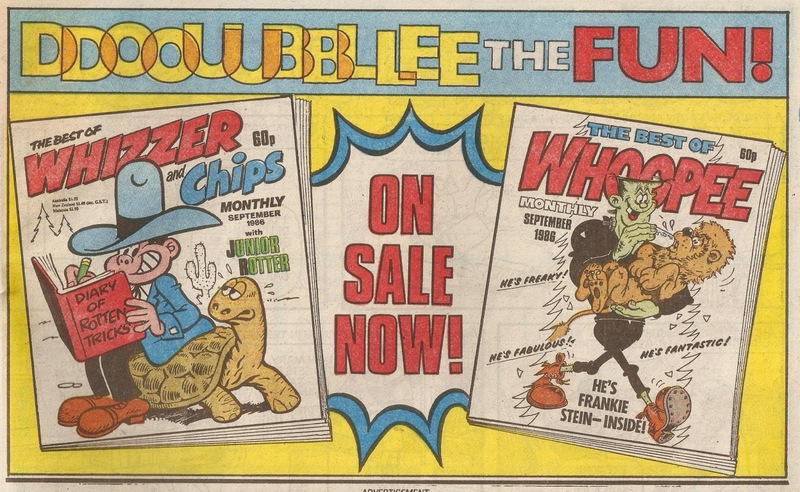 I'll wrap up this post with this nice full-colour advert for The Best of Monthly comics for Whizzer and Chips and Whoopee. Buster didn't have one yet; it arrived in May 1987. 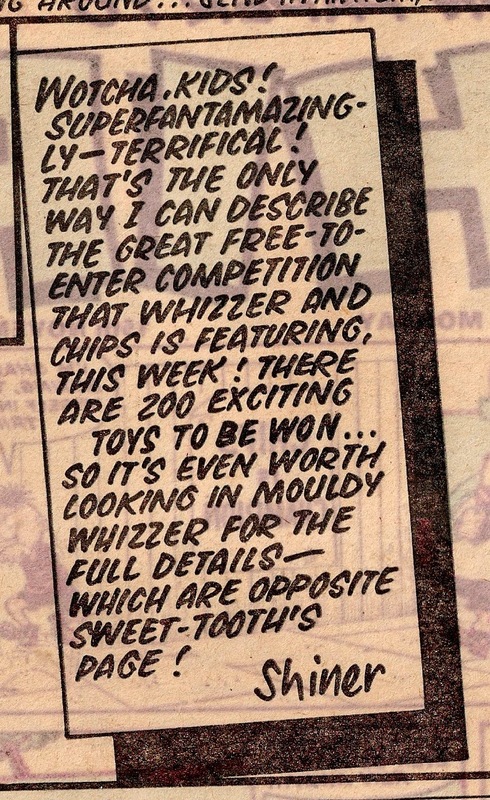 I can make no promises, and indeed I do doubt, that every single issue of Whizzer and Chips will receive an individual post on this blog; it would be nice, but I can't see it happening (at least, not any time soon). I did cover the first three issues in detail, writing a summary of every strip back in 2012 but each of these posts took 1 - 2 days to write and comics are made up of artwork as well as stories, which these posts sort of abandoned. Anyway, those posts are still up there but no more will be produced in that format, and this is, I hope, the first of many that will be in the more familiar format I use on my other blog. Anyway, on to the comic, and at first glance it does not appear to be a particularly significant issue so you might question as to why I chose it for this first post in a new format. 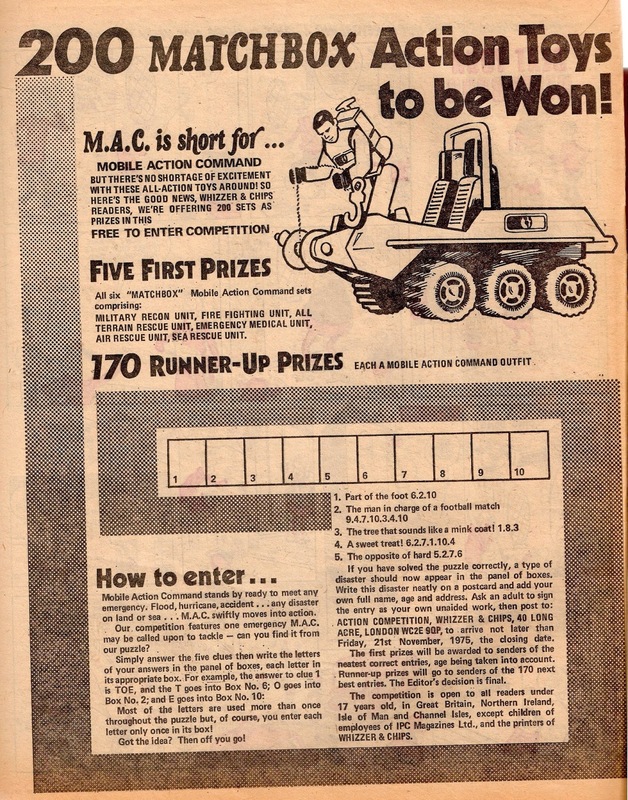 Well, first of all it has a great competition for readers to win one of '200 Matchbox Action Toys'. Sid and Shiner were very excited about this, as they expressed in their letters to the readers. And here is the page with all the details. On to the strips, and there are two of particular interest in this comic, one in Whizzer and the other in Chips. We'll look at the one in Chips first, it being Pete's Pockets. 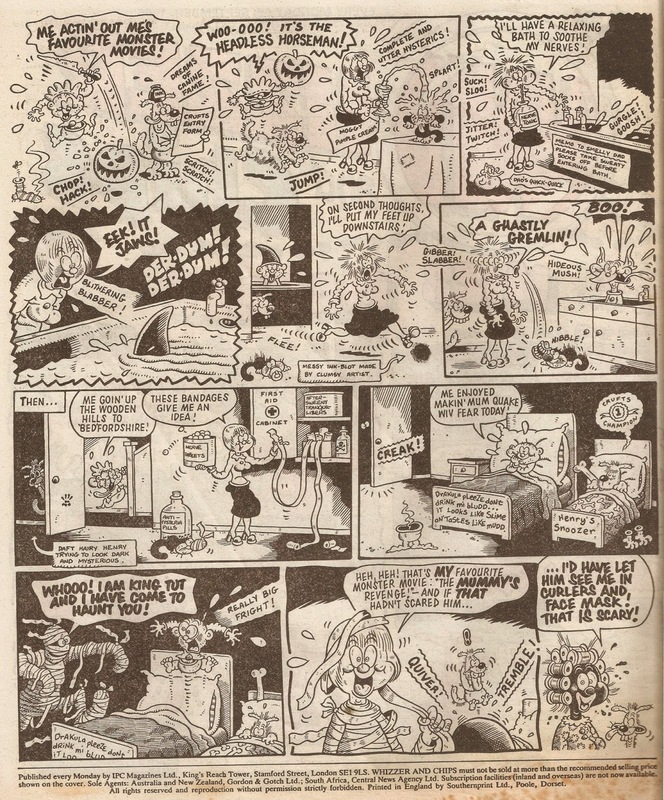 Usually illustrated by Mike Lacey, it's possible this particular episode is drawn by a ghost artist. The reason it's interesting is because it features a visit from a Whizz Kid - Joker on an unofficial raid. There is no mention of the raid on Joker's page. 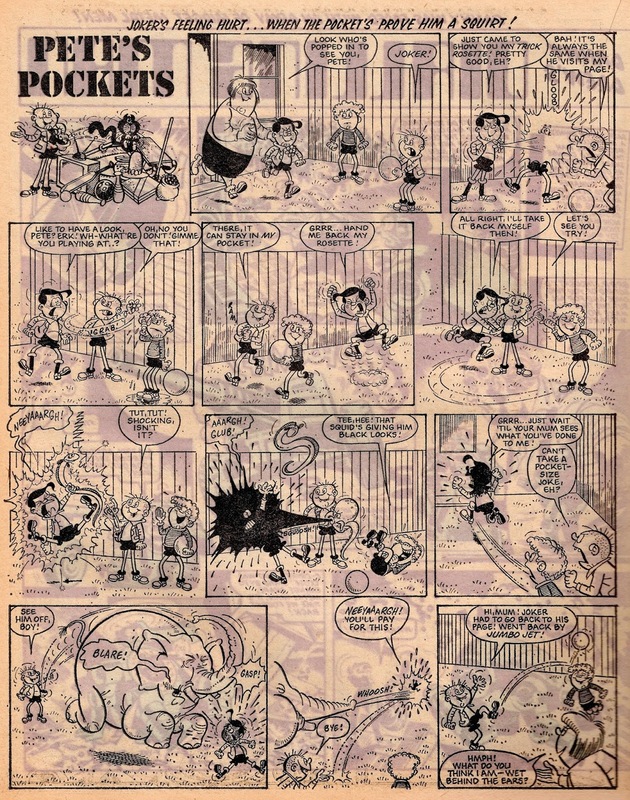 The other strip of interest also features a crossover, this time from one Whizz Kid to another, when Odd Ball pays a visit to Timothy Tester (and Nobby also appears). 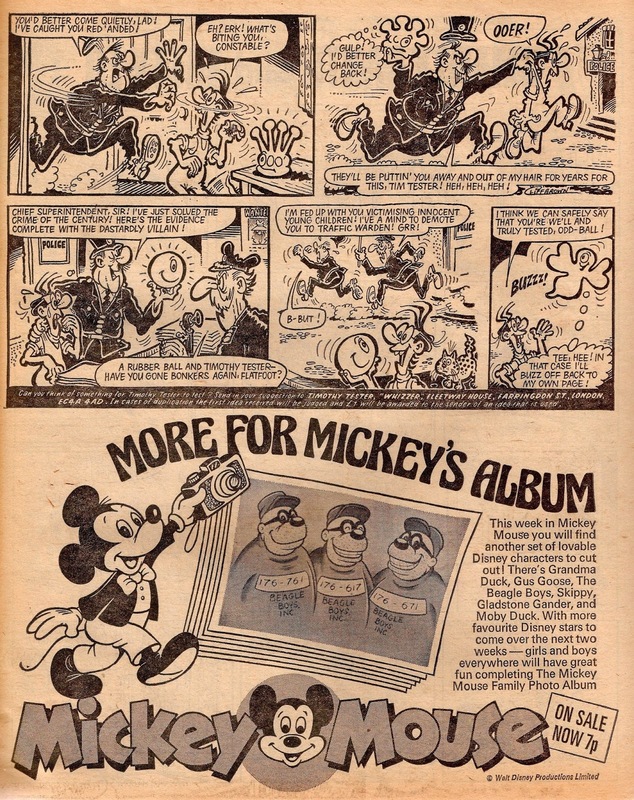 The artist here is definitely Cliff Brown, and the strip is followed by an advert for Mickey Mouse comic. Like with Joker's crossover, there is no mention of Odd Ball's visit to Timothy in his strip. It's time to look at the saddest part of Whizzer and Chips' history - the merger into Buster. 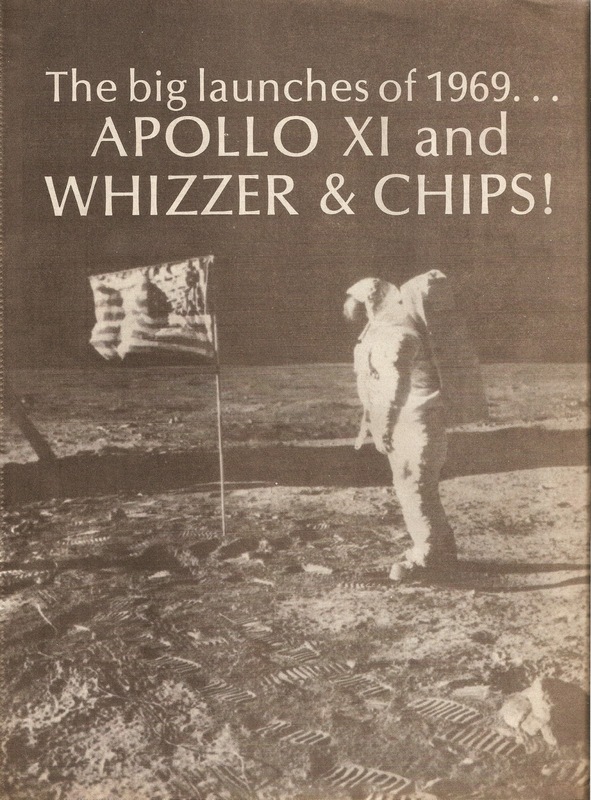 Whizzer and Chips had changed a lot in its final months, it had gone full-colour and had merged into itself - there was no longer a Chips section in the middle. 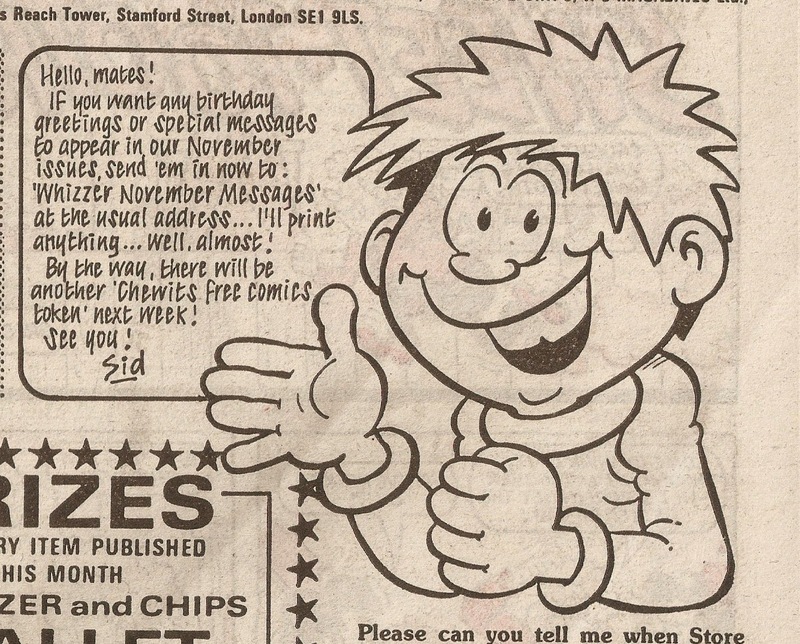 None of the changes saved it though, and after 21 years and 9 days the final issue of Whizzer and Chips was released on 20th October 1990, dated for the 27th. The last issue, cover by Jimmy Hansen. Unlike mergers of the past this one was fairly unadvertised in both Whizzer and Chips and Buster. 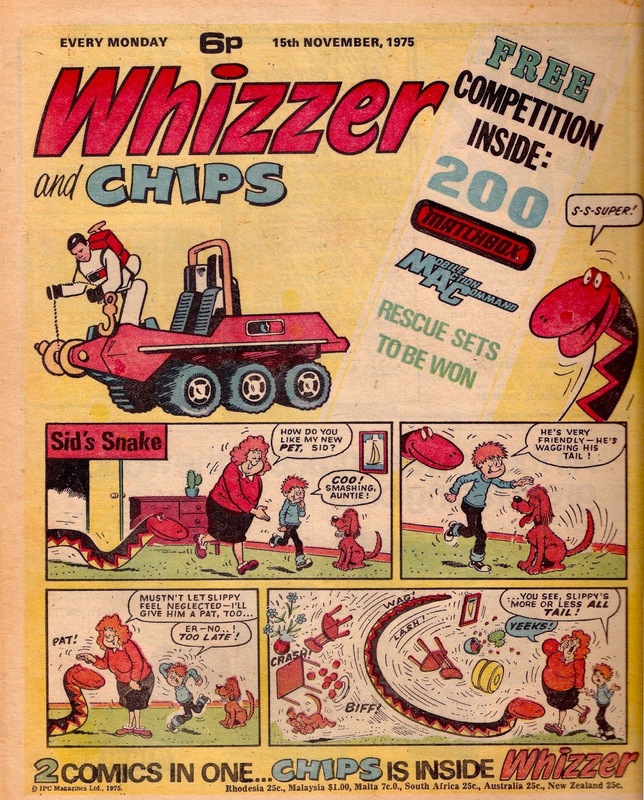 In the last issue of Whizzer and Chips there was no centre spread announcement, no front cover strapline and no reminders to 'Buy Buster Next Week' throughout the comic. Instead, all that was seen was an advertisement taking up the inside back cover, which really isn't very clear as to what was happening. It was even worse in Buster, the one-page advert there is very lazily done and doesn't look very nice at all. 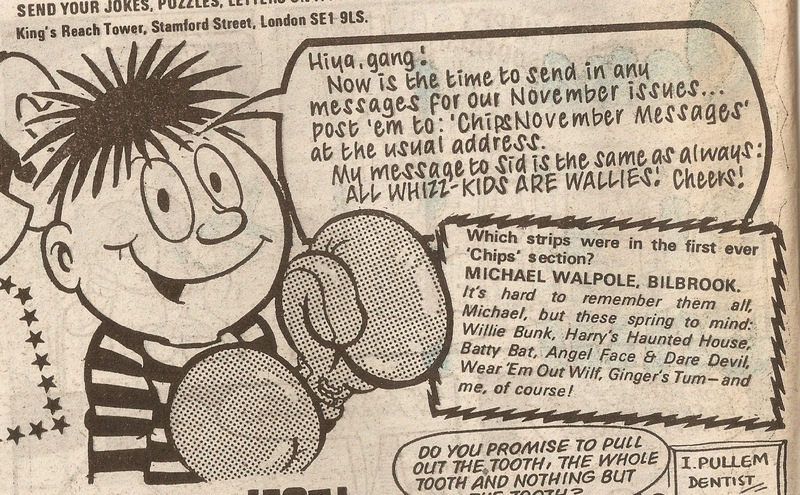 The first 'Buster with Whizzer and Chips' was dated 3rd November 1990, and came with some free Fiendish Feet stickers. 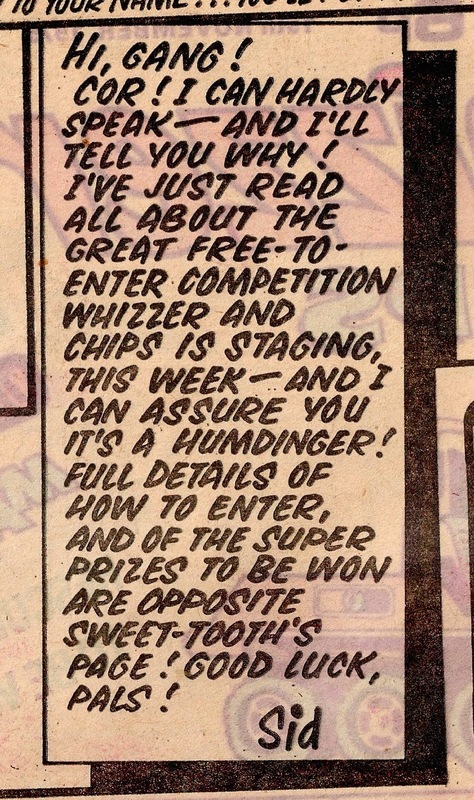 The Whizz-kids and Chip-ites (if there were any, for as I have mentioned Whizzer was now one comic instead of two) were welcomed by just a small notice on the 'Dear Buster' page. Not a lot of characters moved into Buster from Whizzer and Chips. The ones that did were Joker, The Bumpkin Billionaires, Odd Ball, Sid's Snake, Fuss Pot, and Sweeny Toddler. 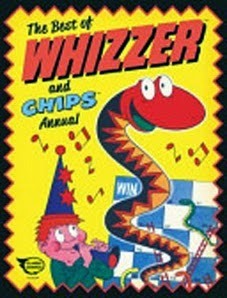 Of those six only two originated in Whizzer and Chips - Sid's Snake and Odd Ball. Sadly Shiner, king of the Chip-ites, failed to survive the merger. 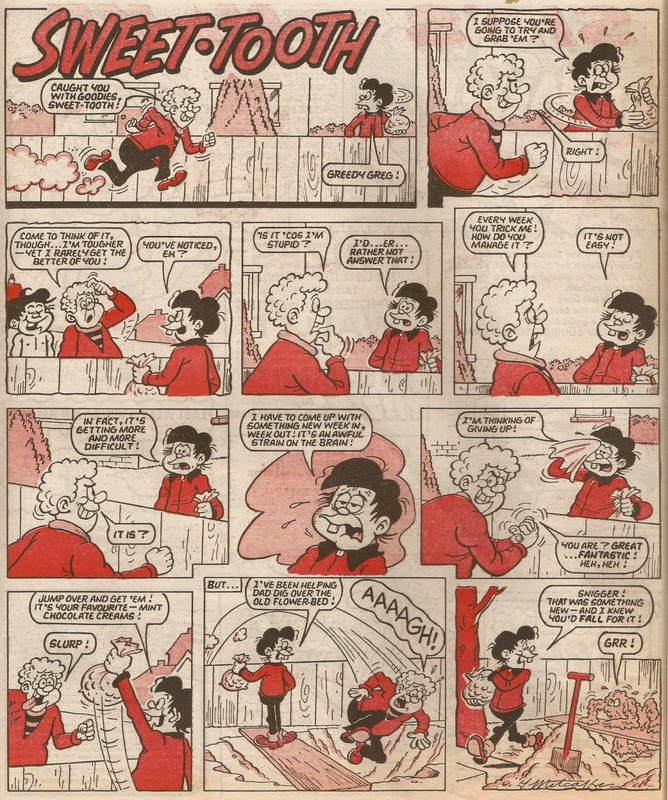 'Whizzer and Chips' would appear underneath Buster's name for almost a year, with the last combined issue dated 7th September 1991. Some of the characters would survive until the end of course, in 2000. The last 'Buster with Whizzer and Chips'. 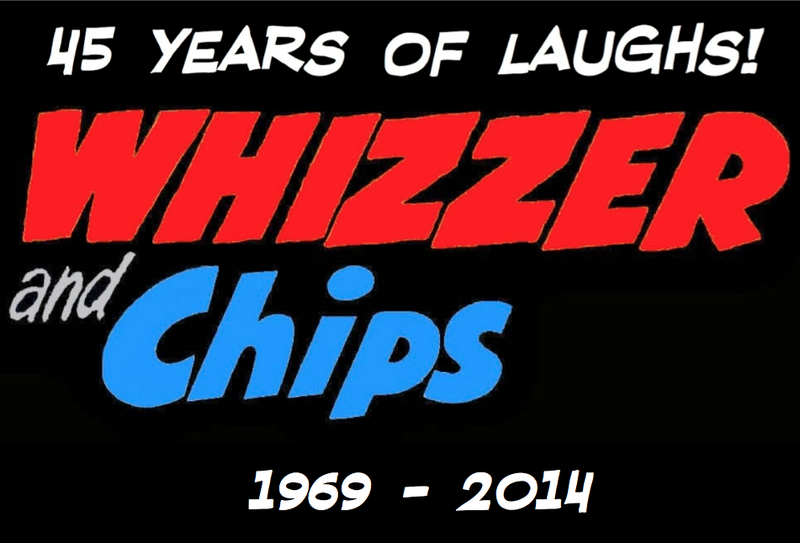 Here is the full contents from the last issue of Whizzer and Chips. † - Reprint from either Whizzer and Chips or another comic. * - this was part of a weekly series which focused on hobbies of different people and creatures. Billy Bunter is a reprint from Valiant. I'm pleased to announce that the Whizzer and Chips annual gallery is now online. It features the front covers of all the annuals, plus the price and page count for each book.